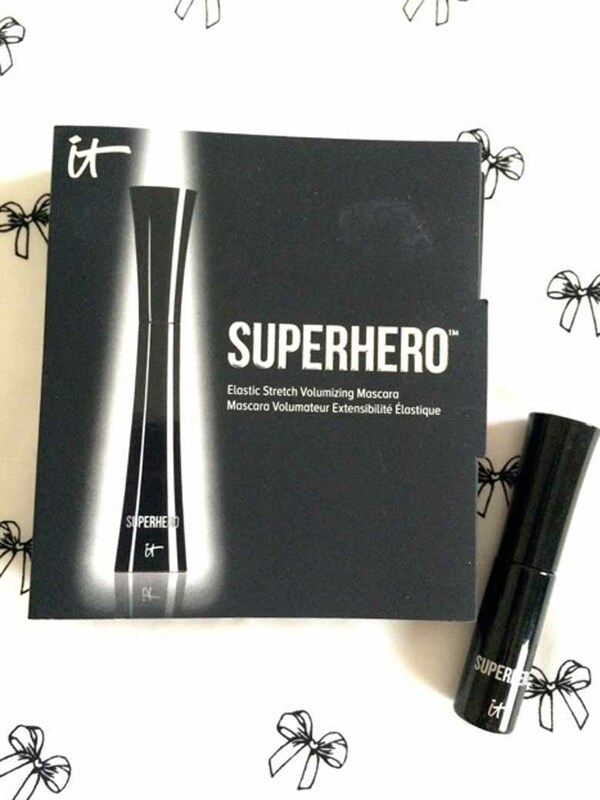 Today I’m looking at IT Cosmetics Superhero Volumizing Mascara in Black. This is a “higher-end” mascara that I found while browsing in Ulta. I asked one of the MUA’s about it, and she gave me a sample to try. I LOVE it! It applies and wears almost like waterproof, but it washes off like the water resistant formula that it is. This was shocking to me. It does not have the plastic spoolie wand that I tend to gravitate toward, but the spoolie worked well. IT Superhero lengthened and volumized enough to make me happy-happy, and I can be a hard sell in the mascara department. My eyelashes are neither long nor luscious, but they can fool with the right smoke & mirrors. I need ALL the help I can get in this area. I typically look for a long wearing, lengthening, and volumizing formula. I also don’t want it to flake or clump, and I like a buildable mascara. This delivered. I WILL buy the full size. Totally in my FAVS. It came off at night like a dream. Fellow Waterproof Mascara wearers know the struggle is real. I give IT Superhero Mascara a 4 out of 5, but only because it isn’t truly a waterproof mascara. I did have some “melt down” after a particularly long day. However, I like to layer different mascaras, and IT Superhero layered underneath a different, good waterproof mascara as an undercoat should bring resolution to the “I’m melting” issue for those longer days. If you like reading about all things girly, check out MasterGraphic Liquid Eyeliner, Makeup is My Friend… Sometimes or How To DIY Manicure.